Currently catching up on what local celebrities wore for Halloween and our first victime err subject is Kapamilya actress Coleen Garcia. 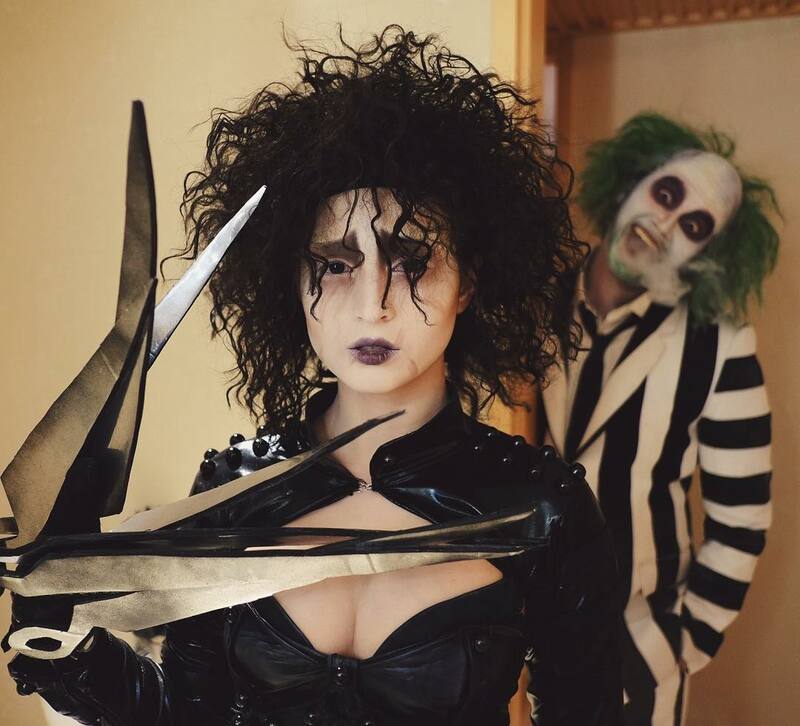 Actress Coleen Garcia posted her Halloween costume for 2016 and its a nice throwback to Tim Burton’s classic fim Edward Scissorhands. In her cleavage-friendly Instagram photo boyfriend Billy Crawford can also be seen in the background wearing a Beetlejuice costume. Whats brilliant is the fact that he seems like in character too. Good job Mr. Crawford. Even better job makeup and costume team who did Coleen Garcia’s costume. 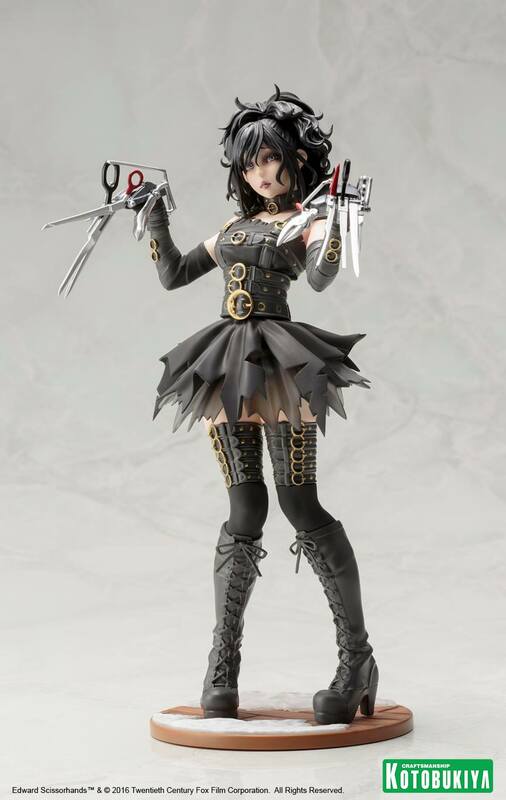 Did they get the inspiration from the Kotobukiya Bishoujo line of collectibles? Here’s how it was teased and solicited in toy stores. 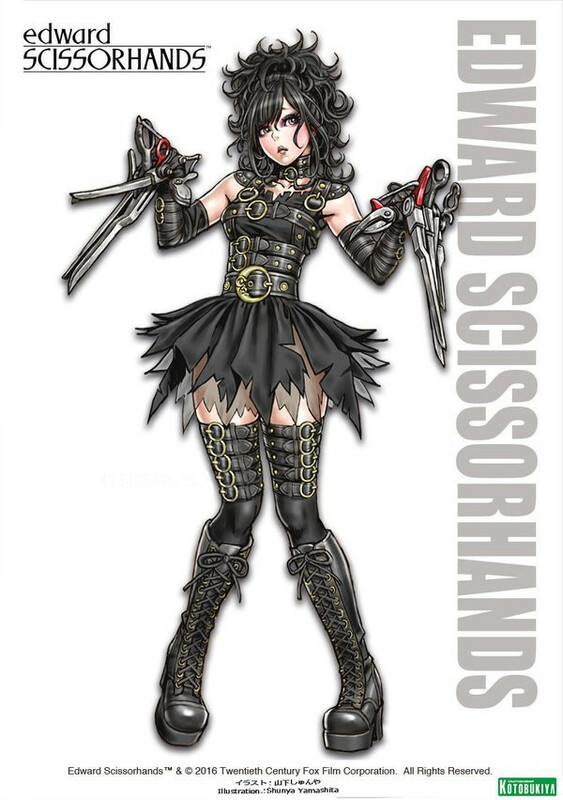 Now this is what Coleen Garcia Edward Scissorhands looks like (apparently this was a party in Hong Kong).